Spanish cyclist Alberto Gallego of Caja Rural-Seguros RGA has been handed a four-year ban for the use of Stanozolol at the start of the season. The 25-year-old, who had joined Caja Rural-Seguros RGA only days before, received news of a positive test for the anabolic steroid and was subsequently suspended by the UCI and had his contract rescinded by his team. 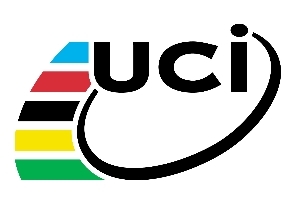 The UCI has now announced a four-year ban, which ends on October 25th of 2019. Shortly after the initial report, he Spaniard defended himself in an open letter published on Biciclismo.com. "Yesterday morning I received a notification from the UCI. In the test on January 3rd, there was a trace of Stanozolol, a forbidden product for which I have been suspended. All I can say is that I am in disbelief. "I never took Stanozolol. In fact, after asking the doctors about it because I didn't even know what it was, I learned that it's actually more suitable for bodybuilders than for a cyclist. In addition, the product always leaves traces for several weeks. "In my case, it makes no sense to think that I would have used this product to improve my performance. I didn't do so because of my personal beliefs and because of simple common sense as it was clear that I'd deliver a positive result for any test and it wouldn't even have helped my sports performance." The rider went on to explain that he had not found the substance in any of the supplements he took at the time and concludes that the only explanation is that "there must have been a contamination at the laboratory".